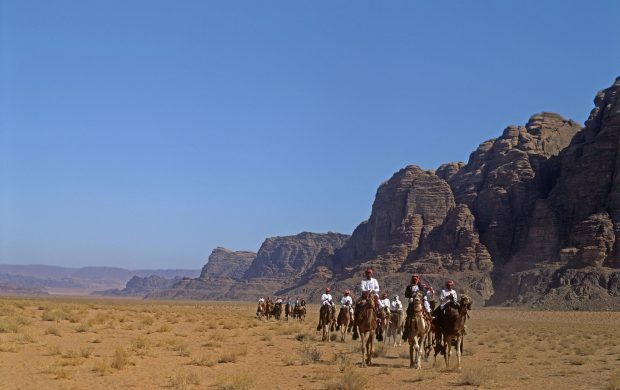 Desert hunting lodges, Crusader castles, Bedouin police on camels and the legends of Lawrence of Arabia in Wadi Rum all combine to give an exciting insight into this favourite McCabe destination. 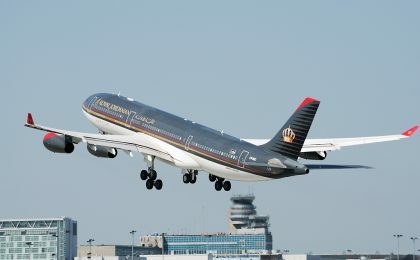 Royal Jordanian afternoon flight departs Heathrow 1605 arriving Amman 2305. 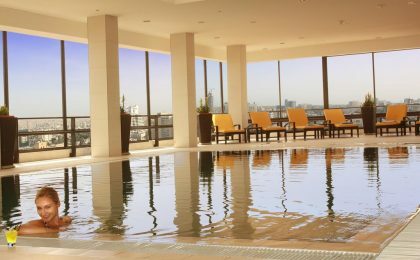 Three night stay in Amman at the Grand Palace Hotel. Drive north to the Jabbok River where we recall the story of Jacob wrestling with the angel. 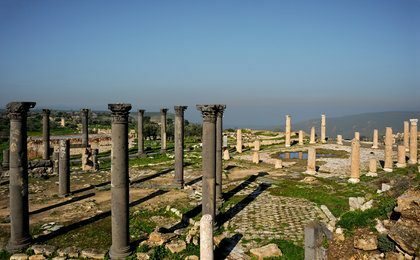 Continue to the spectacular ruins of Jerash, the best preserved of all the Decapolis cities. Lunch here. 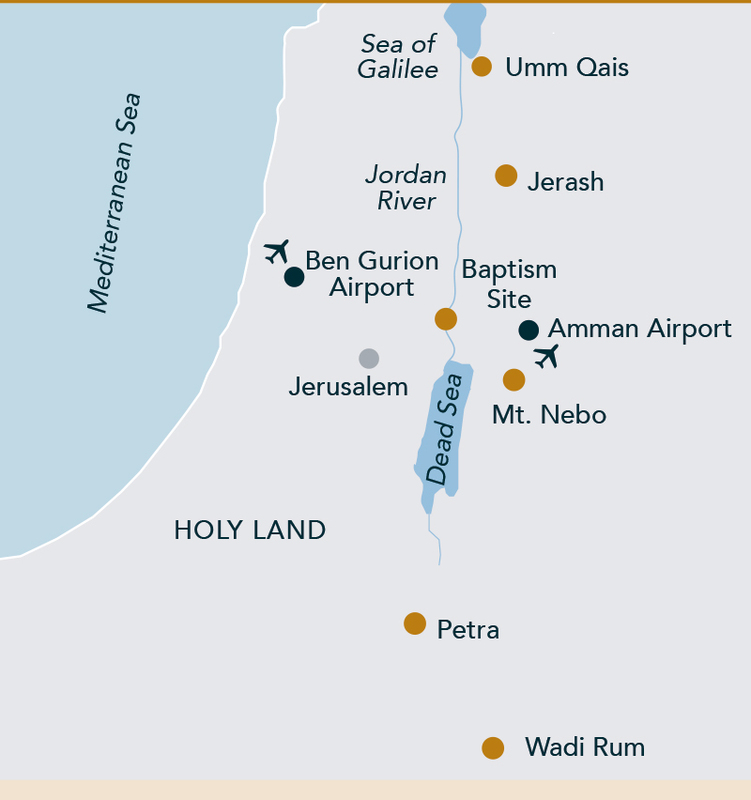 On to the site of Umm Qais (Gadara at the time of Jesus) with panoramic views over the Sea of Galilee, or perhaps visit Brother Andrew at the Deaf Institute in Salt. 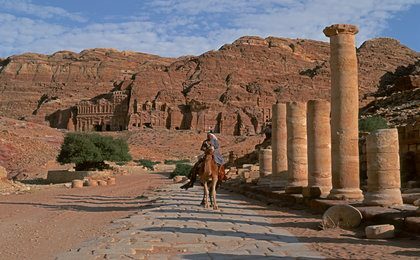 Petra’s fame is well deserved: the scale of the site and the extraordinary beauty of the rock-cut tombs and temples is breath-taking. 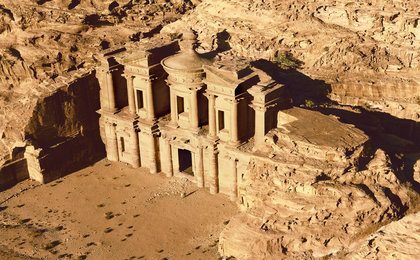 At the time of Jesus, Petra was a magnificent Nabatean city of enormous wealth which controlled much of the trade that passed through the region. We enter Petra on foot through the narrow Siq and spend the entire day here visiting many of its magnificent monuments. Lunch in the site included. 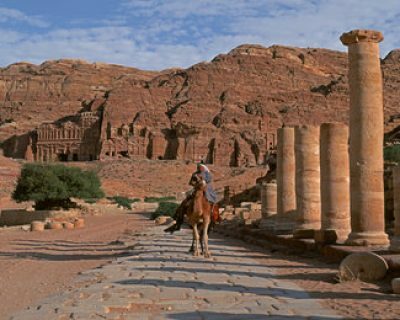 We spend the whole day in Petra, the iconic capital of the ancient Nabataeans, walking in through the A second day to revisit Petra at leisure and visit the surrounding area. Morning drive to Wadi Rum where we explore in jeeps, looking at rock drawings and inscriptions, natural rock arches, canyons and red sand dunes. We enjoy a traditional Bedouin lunch in the desert before driving north to Amman for our last night at the Grand Palace Hotel. Royal Jordanian departs Amman 1120 arriving back at London Heathrow airport at 1445. Brother Andrew, an Episcopalian priest, has turned a fledgling vision into a project supporting over 500 deaf children, offering education, health, care and vocational training. Former Archbishop, George Carey is their Patron and they welcome McCabe parties visiting. 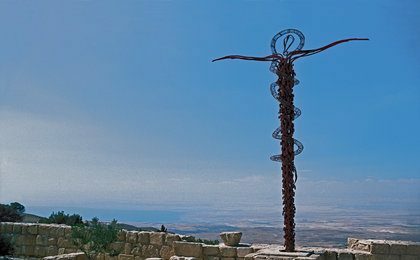 The location is near Jerash. The only extras you need to budget for are, drinks and shopping. We include lunches and gratuities to guide, driver and hotel staff. Touring is by air-conditioned private coach. Days generally start at 8am and finish around 5pm with dinner served around 7 or 7.30. Ideal months to visit are April through June, and September and October. Entrance fees are high reflecting a rare resource for a poor country. For example, entry to Petra now costs around £50. A visa is required to enter Jordan and we obtain this free of charge for our parties. We will ask you to complete a passport information form, which we will send with your final invoice, for us to process this visa in advance of travel. If you are holding a non-British passport, please do consult us as arrangements can be different and you may need to apply for a visa in advance. Please ensure your passport is valid for six months beyond your return date. No inoculations are required but do consult your GP about your own particular requirements. The McCabe recommended insurance policy is designed for the older traveller. 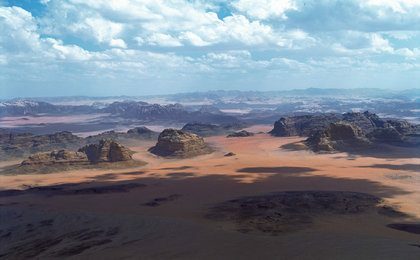 The premium for this pilgrimage to Jordan is £79. Travellers over 75 pay £119. We also recommend that older travellers obtain a note from their doctor stating that they are fit to travel. Do feel free to shop around as there are many suitable insurance options including annual policies on the market. We do insist that all travellers take out medical insurance. 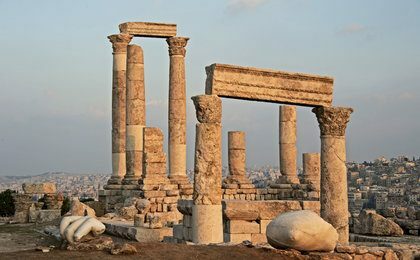 Flights are from Heathrow to Amman with Royal Jordanian Airways. We recommend Tuesday departures, but other days are possible. Jordan is expensive to visit. Hotels are either basic or superior with little middle ground. We use four and five-star graded hotels and all rooms are twin-bedded with private facilities. Breakfast and dinner are included daily as well as lunches en route. You will normally have a buffet-style breakfast and dinner. Drinks are not included, except at breakfast when tea, coffee and fruit juices are provided. Do try the Eastern dips and Arabic salads. We recommend you drink bottled water, which is provided on the coach, at lunch and dinner as well as in the hotel bedrooms. Alcoholic drinks are very expensive due to a very hefty government tax. Please note that prices shown on drinks menus are subject to a service charge (usually 10%) and an additional local tax (usually 7%). If you have any special dietary requirements, please let us know and we will advise the airline, hotels and restaurants. Please speak to the head waiter regarding your special requirements. We have no tours scheduled to this destination at present.